The Salman fans are very excited for this movie. 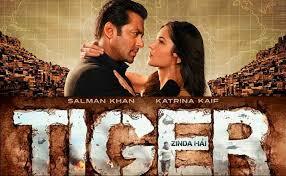 This movie has all the spices that Ek Tha Tiger had. This movie goes several steps ahead increating a channel between India and Pakistan. The story goes five years ahead of the first movie. In Syria, the world’s most dreaded terrorist organization abducts 25 nurses from India and Pakistan. Raw head sinaye(Geeris kannad) sitting in Delhi, to redeem Indian nurses once again he remembers Tiger. They find Tiger , who is living in Austria with his wife Joya(Katrina Kaif) and his son. Tiger agrees for this mission. There are some nurses from Pakistan who have been kidnapped so Joya and ISI team are also active and then tiger led RAW and ISI team to save the nurses and then the action starts. Then the film comes in real color. In this movie, there is no shortage of drama and twists. It further keeps on adding to the movie and maintains the interest of the viewers This movie has given an example of an Indo-Pak relationship, which is very far from reality but overall, this movie is worth to watch. if we talk about music, songs in this movie are loved by the audience. 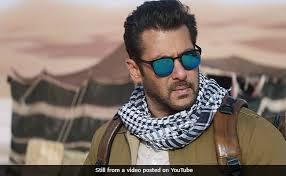 Dil Diyan Gallan and Swag se swagat won the hearts and after all Salman starrer movie will grab all the attention of fans, the audience gave a great review. After Tubelight Salman Khan returned to the track where his fans wanted to see him.